Drinking Green Tea for liver health is a fairly new concept in the western world which is not surprising as these types of teas are widely being promoted as weight loss teas. The Japanese and Chinese have been drinking different types of tea for centuries, not specifically for weight loss but for the properties that help with liver and kidney functionality. Time and time again green tea has been demonstrated to be of great value in actually regulating blood glucose and improving insulin resistance, both of which have been attributed to fatty liver disease. A number of studies have shown that green tea has a number of potential benefits in treating or preventing liver disease. A fairly recent Japanese study called “The Ohsaki Study” reportedly found that drinking green tea was inversely related to the risk of developing liver cancer. The results found that men who drank five or more cups of green tea per day had a 37% less risk than those who drank no cups per day, while women reduced their risk by 50 %. So what’s in green tea that helps your liver? We’ll a number of tests have been carried out and it seems that one of the polyphenols in green tea, known as catechin, may help treat viral hepatitis, an inflammation of the liver. Another attribute is Chlorophyll. Chlorophyll is the green pigment found in all plants and is also found in higher quantities in a number of green teas. It is believed to increase the enzymes that are required to break down fatty acids, turning them into fuel for your body. This in turn reduces the amount of body fat, which is how you combat a fatty liver. 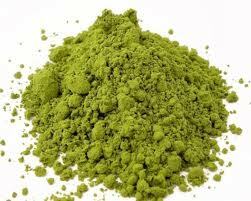 One particularly effective green tea is called Matcha Green Tea. It seems to be coming out on top due to the high amounts of Chlorophyll found in it. Green tea also seems to protect the liver from the damaging effects of toxic substances such as alcohol. Green tea doesn’t just help in keeping the liver healthy there is overwhelming evidence that these teas protect against many forms of cancers as well. There are too many benefits to ignore the fact that you and I should be including a few cups of green tea in our daily routine. 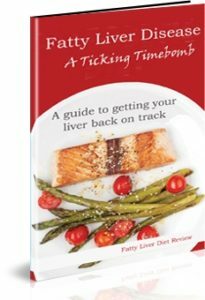 All in all, if we look at all the various studies that have been carried out it would seem that Drinking Green Tea for liver health should be a must. This entry was posted in Green Tea for Liver Health and tagged green tea benefits, green tea for liver health on April 7, 2019 by .